Before we get to beer clean glassware, think about how beer gets into your glass. It’s a remarkable, painstaking process, undertaken by multiple parties. The story begins with farmers sowing seeds of barley, the raw basis for beer. They harvest the grain and send it to maltsters, who treat the grain to exacting standards. The malting process makes sugars available for use in brewing, and different levels of kilning contribute dozens of distinct flavors, from biscuit to chocolate, caramel to coffee. Meanwhile, hop farmers are spinning their tantalizing, near-magical flowers up vines, and creating flavors never before tasted through experimental breeding. In still other facilities, yeast strains propagated over thousands of years are carefully stored, bred, and disseminated. These ingredients coalesce and, finally, brewers like us get their turn. Grain, at calibrated ratios, is mixed with water in the mash tun… water that has been treated to exacting mineral conditions, and brought to precise temperatures. We carefully lauter the liquid to the kettle, the sweet sugars, enzymes and proteins now exacted from the grain. The liquid is boiled and hops are added at strict time regimens to extract bitterness, acids, aromas, and flavors. The proper strain of yeast is pitched, with precisely monitored cell counts, to ensure proper fermentation. The yeast works for about two weeks, and then the liquid is transferred to bottles, kegs, or cans. And it’s still probably miles away from where you’ll drink it. The liquid is sent on refrigerated trucks to distributors, who in turn disseminate it to shops. You know where your favorite brew is at, so you stop in on your way home from work. Toss it in the car, lug it up the steps, pop it in the fridge. After dinner you grab a glass, sit in your favorite chair with your brew and let it flow. Wouldn’t it strike you as tragic, if something like dust, or a spot of dish residue, compromised all this? Dude, you can’t mess this up! A glass that isn’t “beer clean” messes with head retention, banishes aroma, and compromises mouthfeel. The look isn’t right either — almost every beer deserves a healthy foam capper to keep oxygen out and aroma in. Unclean glassware messes with head retention. And that changes the mouthfeel, releases precious aroma , and allows oxidation. Doesn’t look right either. 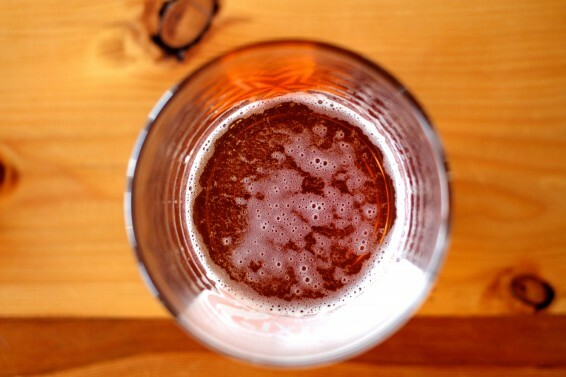 Of course, you aren’t pouring your beer into glasses that are visibly caked with dirt. It’s the little things, like unseen grease or dust, that will usually be the culprit. We’ll start with some basic tips and then go on to how the brewers at Sixpoint keep their glasses crystal and their beers pouring pretty. 1) Designate glasses for beer. Drinks like milk have fats and sugars that may stick on the glass after washing. Keep a few glasses separate that you only use for beer. The best way to tell a glass isn’t clean is bubbles clinging to the side of the glass. The CO2 sticks to the impurities, letting you know your glass isn’t clean. Dishwash detergents are harsh, and leave residue that can mess with your brew. The glass may look sparkling, but the residue can still be hanging around. When you are rinsing out a clean glass, the water should flow out smoothly in sheets. Impurities, especially grease, will cause the water to form droplets, and the water will seem to avoid the grease spots. Last thing you want is some fake lemon smell all over your Imperial Stout. Serious rinsing does the trick. 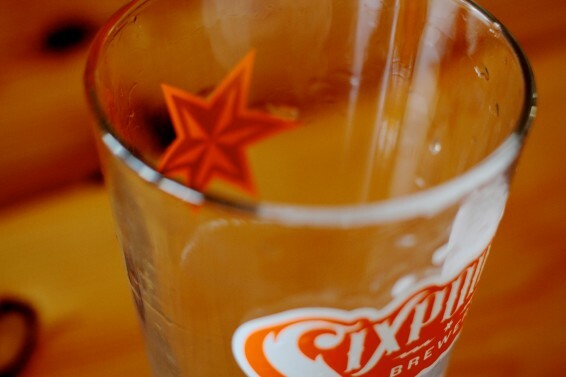 Shane Welch, Sixpoint President, Founder and Commander in Chief takes beer clean glassware even further. “Handwashing is great but I prefer a serious steam dishwasher. Steam is expansive and will remove all sediment from the glass, and also uses way less water and energy during the cleaning process. After drying, I store all of my glassware in closed cabinets or upside down to prevent dust from collecting. There you have it — that’s the full run down. Oh yeah, last thing, once it’s poured in a clean glass, you can forget all that and enjoy your beer.